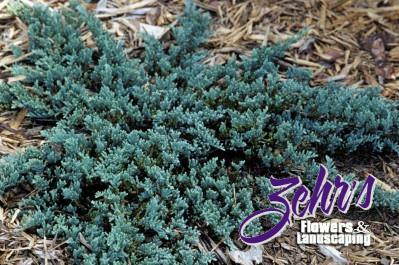 This creeping juniper was created by Van Vloten Nursery in Alberta, Canada and introduced by Bailey Nurseries. Noted for an incredible blue hue to the needles, it has a nice compact, prostrate growth habit. Use it to drape over timber and rock walls where you can really appreciate the intense blue tones of the foliage, especially in winter months.